You will be the center of attention in this attire. 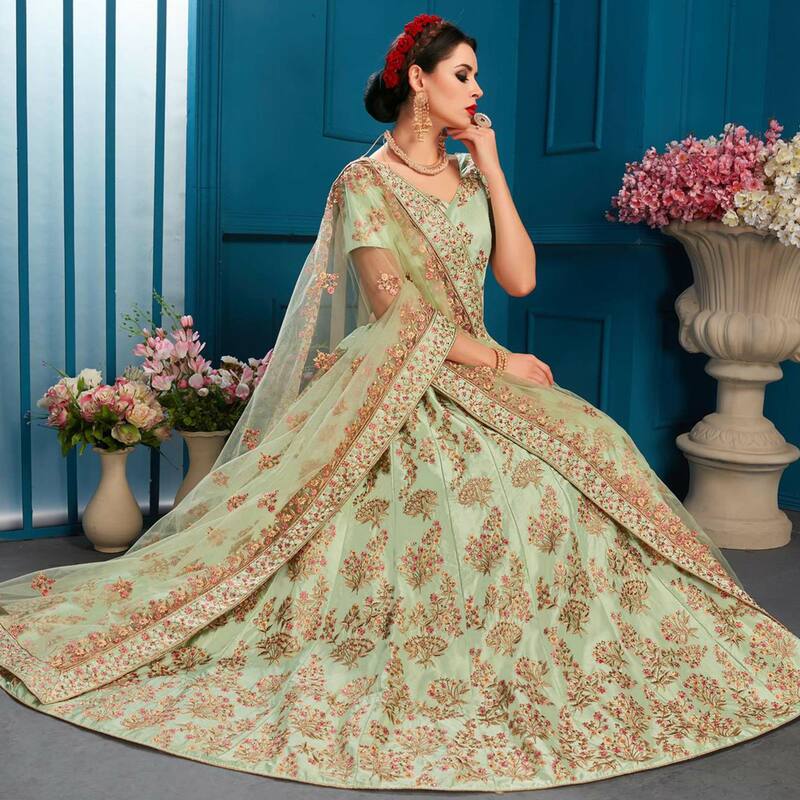 Pamper the women in you with this dazzling pista green colored lehenga choli. Beautified with beautiful embroidered work within the attire adds a sign of elegance statement with your look. The lehenga is made of satin fabric accompanied with embroidered satin blouse and embroidered netted dupatta. Women can buy this lehenga choli to wear for their upcoming parties, functions, festivals, wedding functions or engagement ceremonies and occasions, where you want to be center of attraction. Team it with traditional accessories to make your looks more beautiful. Buy this lehenga choli and earn lots of compliments from onlookers.